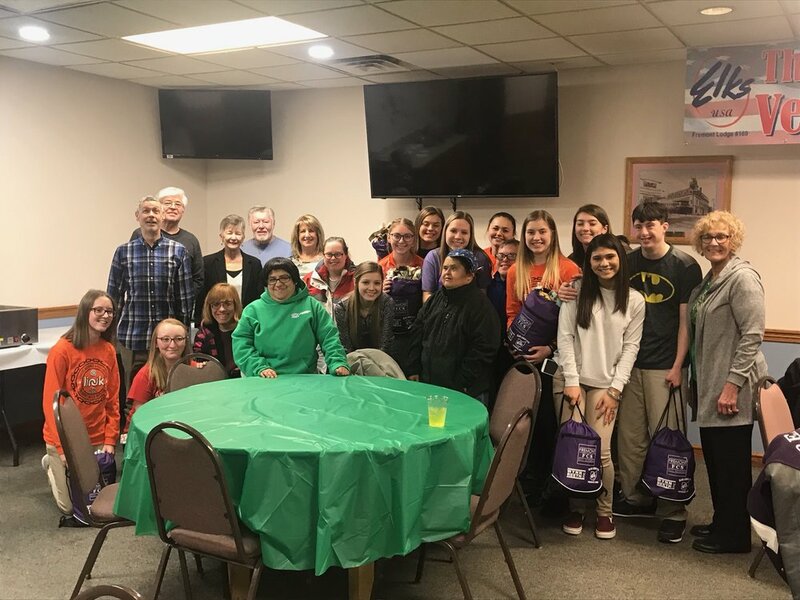 A partnership between the Fremont Elks Lodge #169, Link/Interact Club of Fremont Ross High School, and Wynn-Reeth Inc. made a lasting affect within the Fremont community. On four different occasions Elk’s members, Link/Interact teens and Wynn-Reeth individuals with developmental disabilities gathered for lunch and to make tie-blankets. In all, 40 tie-blankets were made in all and put in to cinch drawstring backpack which had all three organization logos printed on each. Backpacks with blankets were given to Fremont City Schools Elementary social workers to distribute to students who suffer from trauma to give security and comfort. This project brought these three organizations together for the first time to create lasting friendships and focus on giving encouragement to others while making a huge difference. Funding for this program was made possible by an Elks National Foundation Beacon Grant.